In his book Islands of Genius: The Bountiful Mind of the Autistic, Acquired, and Sudden Savant, Darold A. Treffert, MD writes about both autistic and “normal” savants: neurotypical persons who have some savant-like skills and capacities, but without developmental or brain disabilities. The savant label seems to be mostly used for cognitive abilities like prodigious memory, such as Tammet’s, or calculating the day on which a random date falls, or recalling a name and phone number after memorizing an entire phone directory. But what about other exceptional sensory processing abilities? In the 1980’s, Arthur B. Lintgen, M.D. 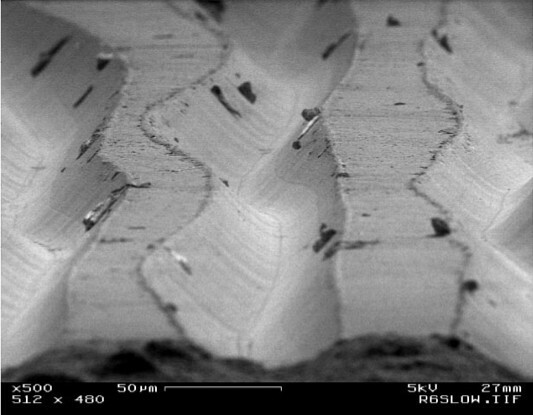 could look at the groove patterns in vinyl records and correctly identify the piece of music. A passionate music buff and audiophile, Lintgen (pronounced Lint-jen) has been regaling friends with the stunt for five years, ever since being challenged at a party and finding, to his surprise, that he could do it. He has also been put to the test by skeptical musicians and critics, as well as by James (“The Amazing”) Randi, a professional magician who specializes in debunking claims of “paranormal” phenomena. Performing recently for a television crew from That’s Incredible! he scored 20 for 20 in a demonstration set up by Temple University Musicologist Stimson Carrow. A New York Times article (A Man Who Sees What Others Hear, by Bernard Holland, November 19, 1981) described his attention to detail. 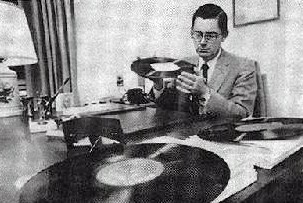 First, Dr. Lintgen is a dedicated audiophile with an extensive knowledge of the record catalogue past and present. He can identify only music that he knows, and he guarantees a high rate of success only in orchestral music ranging from Beethoven to the present. This range excludes excerpts or suite arrangements, because the length, structuring and order of different movements are part of the doctor’s deductive processes. 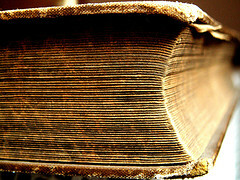 “I have a knowledge of musical structure and of the literature,” he said. I was reminded of the Lintgen story, which I heard about some years ago, after listening today to a PRI/The World radio program The sweet smell of literature. In the not too distant future the majority of readers might read their books electronically, on Kindles, iPads, and the like. In the meantime, though, the paper kind populates bookstores and libraries. And the older a book is, the smellier it is. Here is an audio clip from the program, with Alex Gallafent – about how some librarians and conservators are able to detect fragrances from book pages that sometimes indicate age, country of origin and other facts about them. Could a hidden Rain Man exist in us all? Brain accidents and injuries can occasionally unleash amazing new talents.